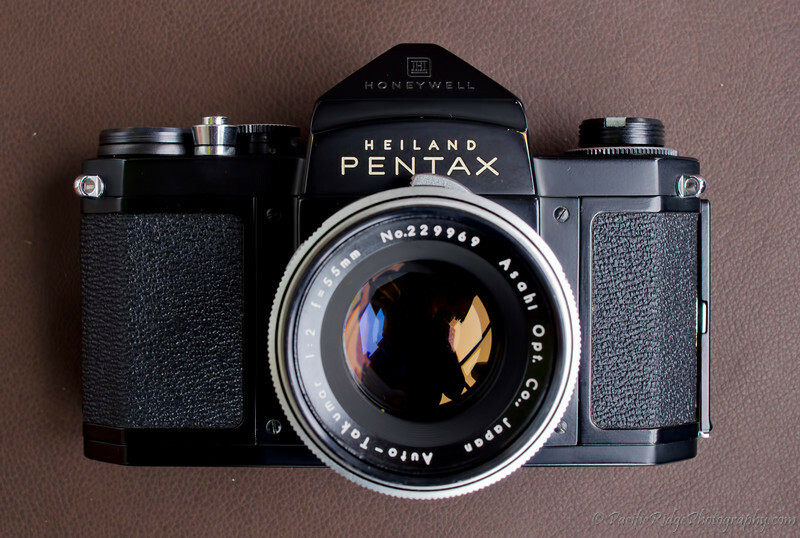 In 1959, Pentax released the S2, or labeled as H2 in the United States under the Heiland brand name. 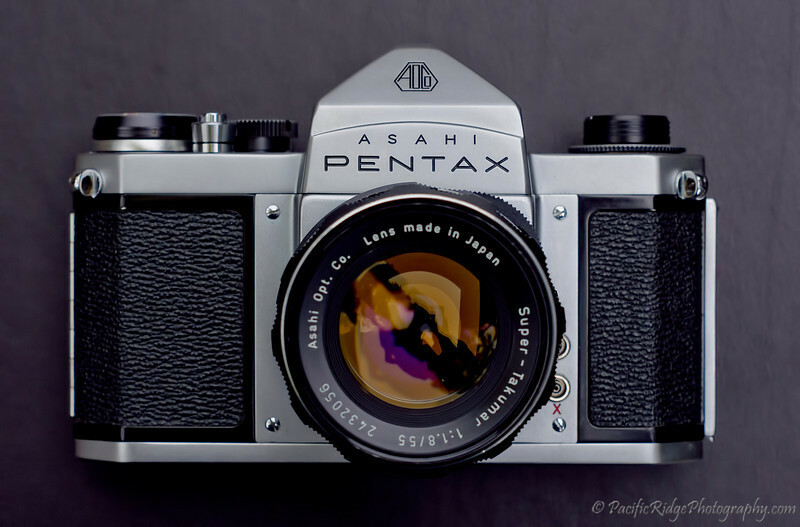 This was Pentax's first mass produced camera but they were able to maintain an extremely high level of quality, much like the hand built AP, S and K lines. Being in North America, the "H2"s are much easier for me to find than the "S2". If you look hard enough, you can often find them at a garage sale, in craigslist etc. 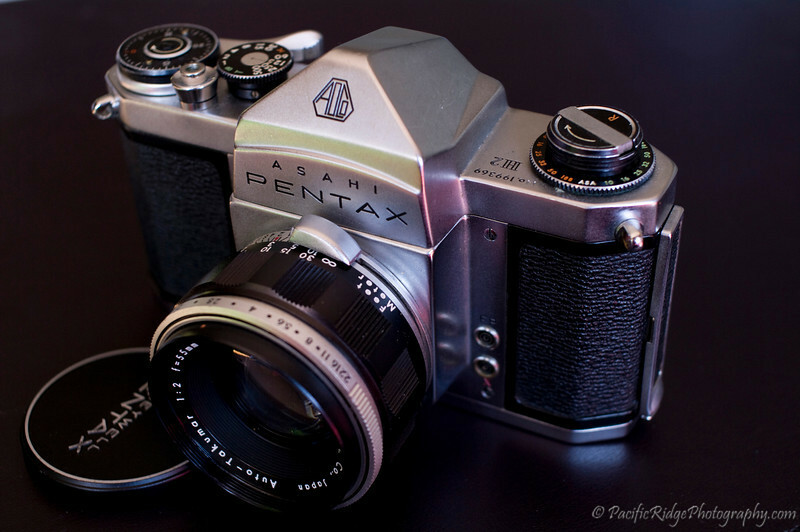 1959 Pentax H2. There were 2 versions of the H2 released, the first bring in 1959 and a second version in 1961 that added meter coupling. Meter coupling can be identified by a notch being present beside the shutter speed dial, right beside the "T". So far. all of my H2s are version 1s, and this particular H2 has an extremely low serial number, presumably being from an early production run. 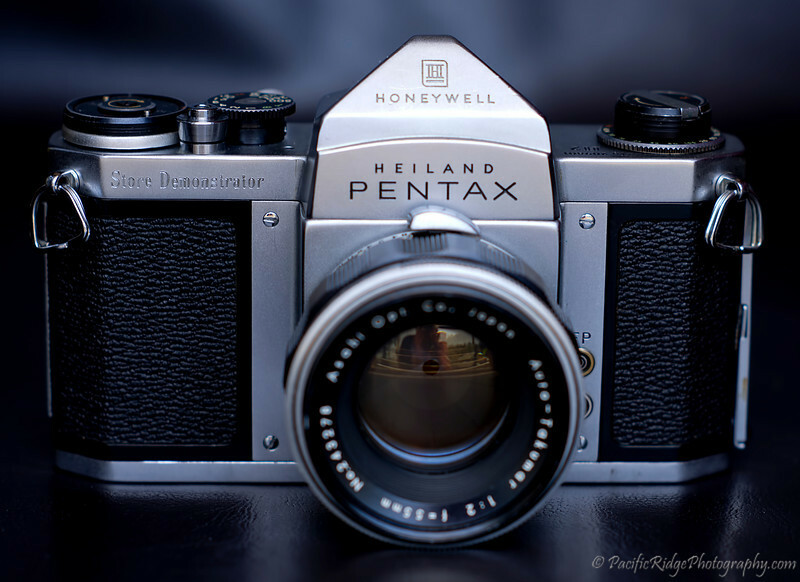 Here is my Pentax H2 Store Demonstrator. These were built in 1959 and shipped to store owners for obvious use on the store floor. This is the bottom of the Store Demonstrator with the base place taken off. There is a signature, dated 1962. It's presumably from the original owner of the camera, that being the owner of the store. 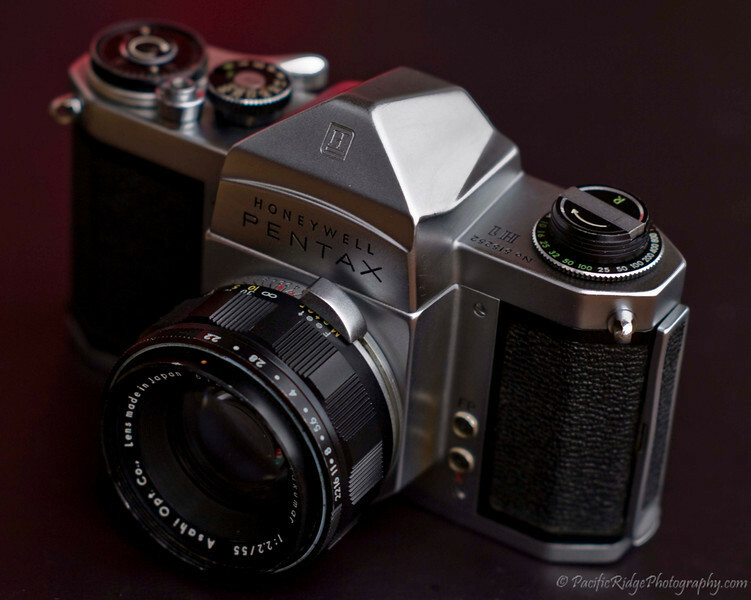 Here is the Pentax H2 Store Demonstrator, but this time with a Takumar 100mm f3.5. Both the camera and this particular lens are extremely rare. 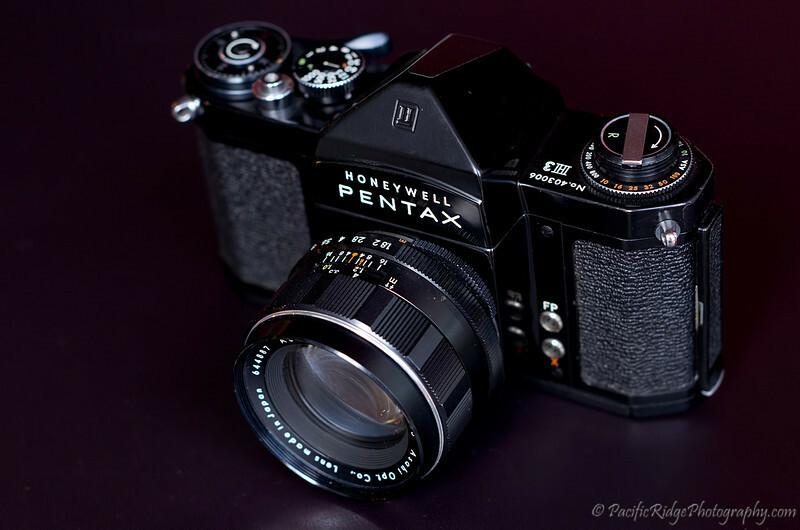 Here is a 1959 Black Pentax H2, but this time in Black. In 1960, the H3 was released. The H3 increased the H2 shutter speed from 1/500 to 1/1000. 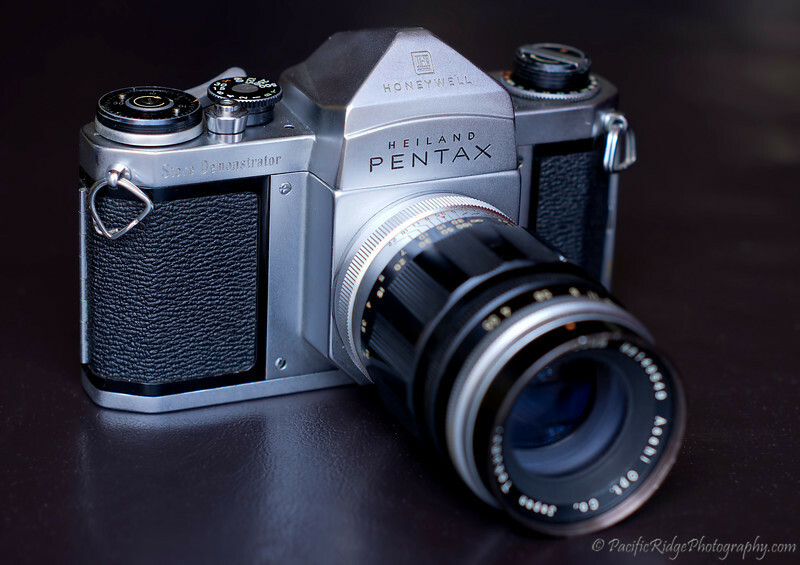 Another view of the 1960 Black Honeywell Pentax H3 with a 55mm/1.8 Auto-Takumar. 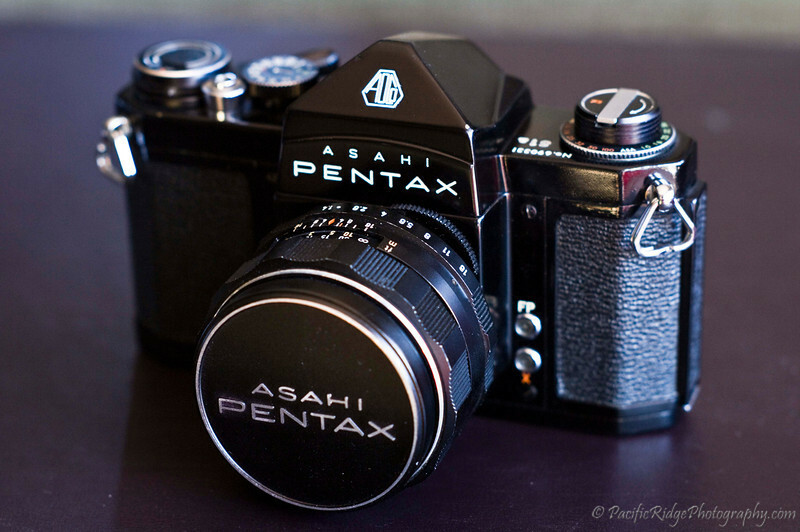 Note that the Auto-Takumar is the start of a new lens design for Pentax, which would soon take the Super-Takumar name. 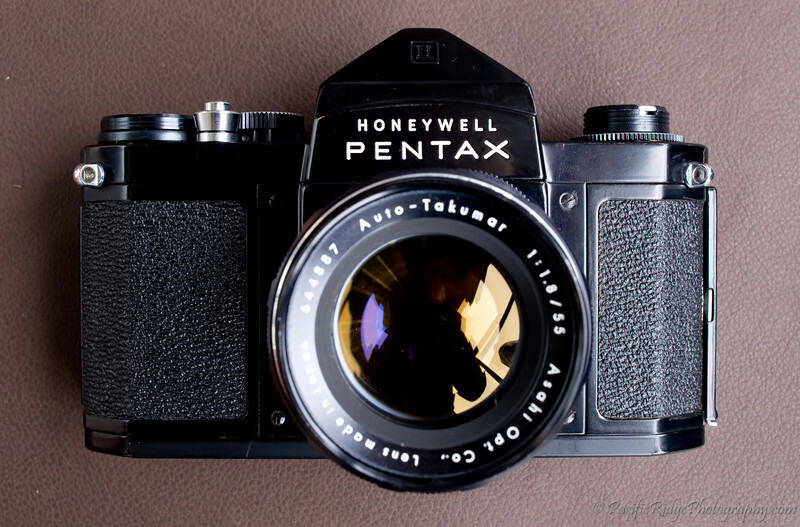 In 1961, Pentax release a budget model of the H3; the H1. Pentax removed the 1/1000 marking from the shutter dial for marketing reasons but the camera was still capable of that speed. 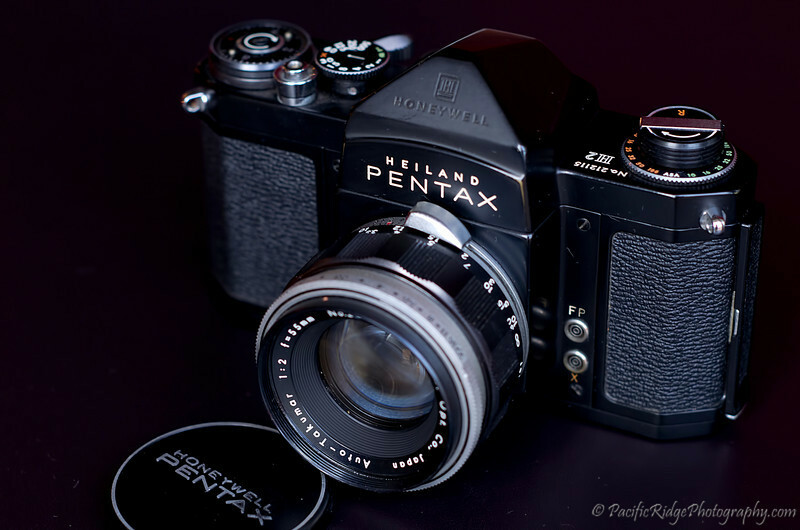 1962 Black Pentax S1a. Like the S1, the S1a listed a maximum shutter speed of 1/500, but 1/1000 was still possible. 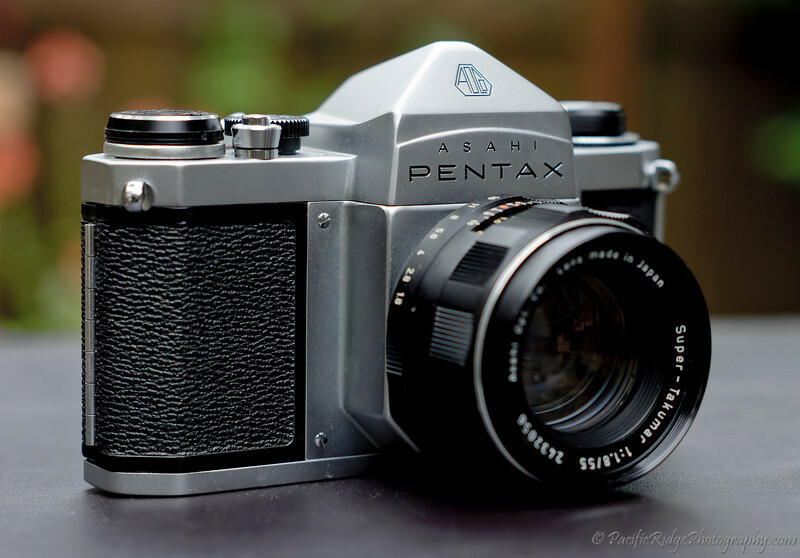 1962 Pentax S1a. This is the second release of the S1a, which was available from 1964 to 1968. The version can be identified by the Orange colour of the "R" rewind symbol, with the first version being green. 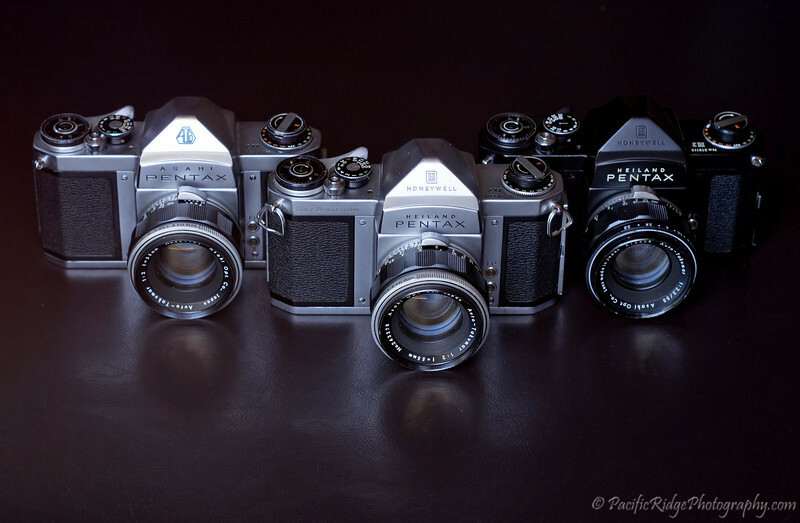 The second release had a modification within the mount to accept the newly released Super Takumar 50/1.4, as compared with the Super Takumar 55/2 common on the first release. 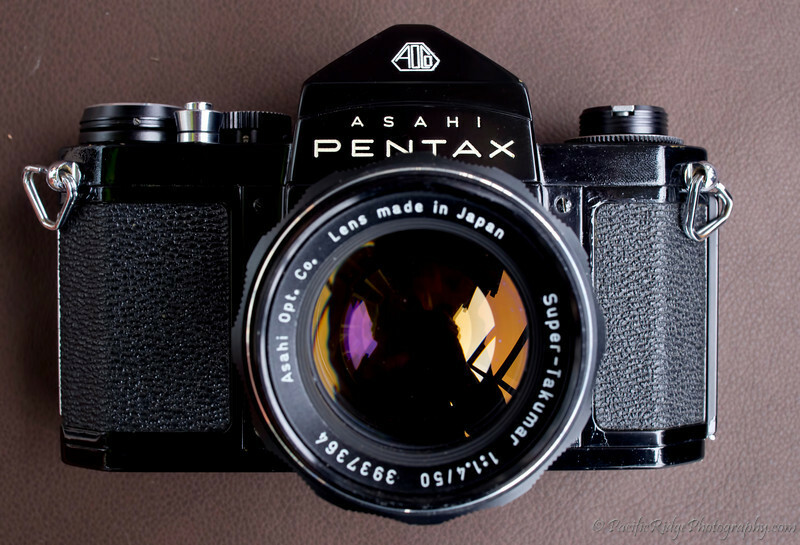 Super S2 - The Asahi Pentax S2 Super was manufactured by Asahi Optical Company from 1962 to 1968 and is an enhanced S2 but with top speed of 1/1000 Sec and is identified in this way. There is no "Super" designation on the body. 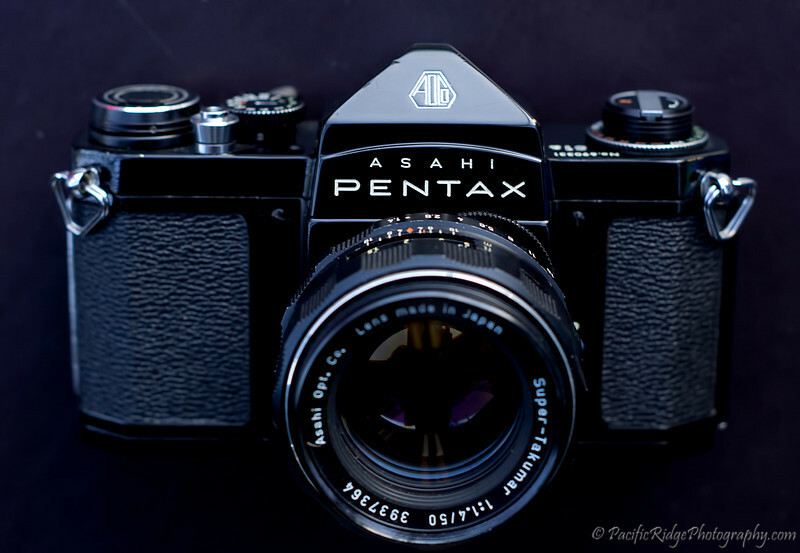 Asahi Pentax Super S2 - Second Series. Two types of the second series of S2 Super exist. 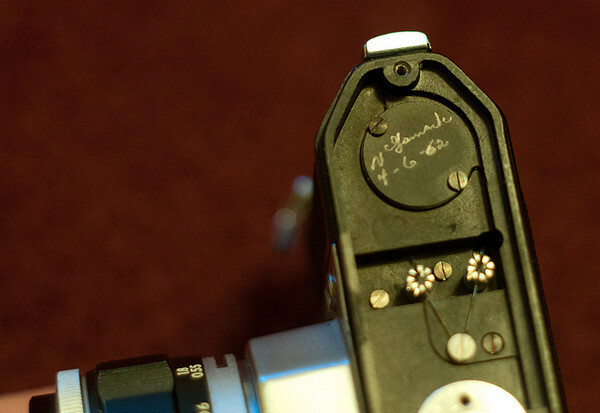 The two types are differentiated by the colour of the letter "R" on the rewind knob as is the case with the S1a and SV .The earlier Type I had a Green "R" and the later Type II from 1966 onwards had an Orange "R"